Most drummers are not lead singers. But with Minneapolis-based Lunch Duchess, Katharine Seggerman fills the Phil Collins role to the best of her ability, complete with a Britney Spears-esque cordless microphone headset. Watching this four-piece band on stage is to experience a feminist garage/pop-punk lovefest — something you can do for free tonight at the Baby Bar starting at 10 pm. As heard on the group’s fresh debut EP, My Mom Says I Have a Rich Inner Life, Lunch Duchess has an impressive ability to wallow in the slow and contemplative. This is certainly music to savor, and when it’s all over you’ll try to figure out what it was you just heard. Holy Cows and Ben Jennings open. We are Scientists aren’t actually scientists; they’re a pop-rock act touting a brand new album Helter Seltzer, who’ve been making music together for two decades. They play with the Palms at the Bartlett tonight. Show starts at 8 pm and is $15. Read our preview interview with the group right here. 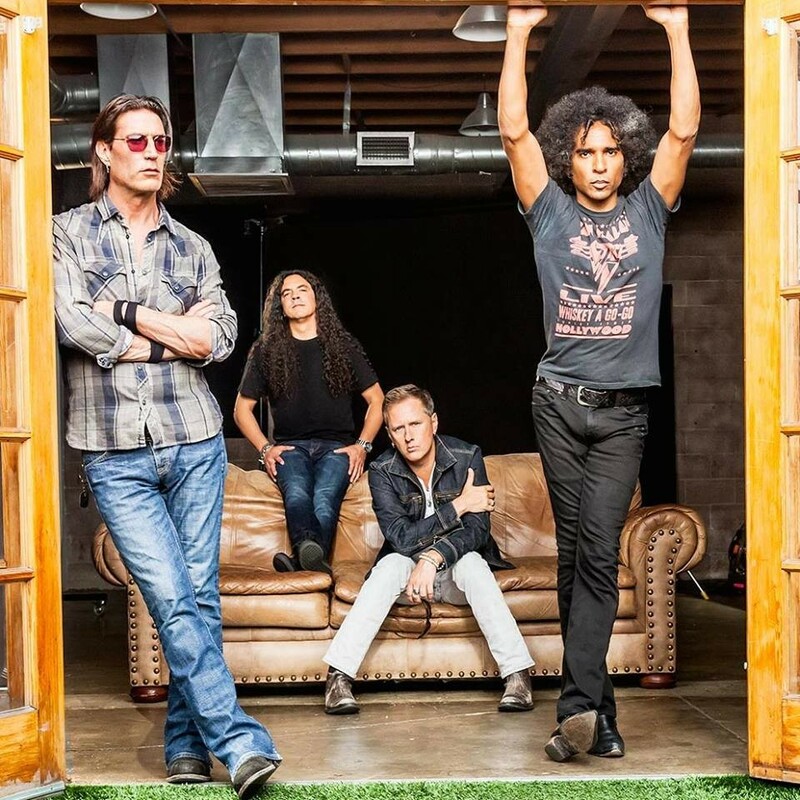 The Seattle-based Alice in Chains already sold out the Knitting Factory last year, but the group must have enjoyed the Spokane crowd so well that they’re back for more, this time taking on a much larger venue with the INB Performing Art Center Saturday night. Tickets are $50-$75 and the show starts at 8 pm. Read our big interview with the act from a few years ago. Excited for yet another rooftop show? You need to take advantage of them while they last, and Saturday you can hit up the KYRS rooftop concert with the punk rockers Casual Hex, and also Big Bite and S1ugs on top of the glorious Saranac building. The show starts at 7 pm and is a $5 donation to get in. It’s Soul Night at the Bartlett this Saturday — prepare to get funky. The Seattle-based funk-soul group the Dip, which includes at least one Spokanite in its ranks, is prepared to rip off the ceiling with their dance-worthy tunes. The up and coming band, which has played Capitol Hill Block Party and Sasquatch!, ends their recent summer tour in this fair city. Openers include the new local soulful super group Super Sparkle and also the local 45th St. Brass. Show starts at 8 pm and is $10 at the door. Read our preview interview with the Dip right here. For those trying to get out of town this weekend, the Wallace Blues Festival and the Sandpoint SummerFest should be on your radar. Both events bring in some of the finest regional talent around (Ayron Jones and the Way is in Wallace and Down North hit up Sandpoint). Check out the schedules right here and here. Floaty dream pop hits the Observatory Sunday in the form of Seattle two-piece Lemolo. Local acts Dead Serious Lovers and Water Monster open the set. You basically don’t want to miss this one.